Keep track of your family’s favorite recipes with a custom recipe book! These unique keepsakes make perfect gifts and can highlight not only your wonderful food photos, but memories, notes, and photos of kitchen creations. 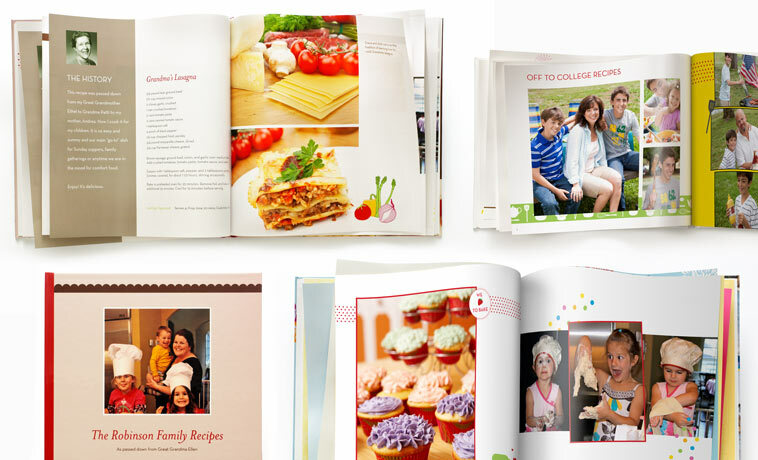 Shutterfly’s recipe photo books are easy to make, customizable to your personal tastes, and professionally printed and bound for what looks exactly like a cookbook you’d buy in stores. Consider making a recipe book for a recent high school or college graduate. Since they’ll soon be moving away from the creature comforts of home, help them acquire the skills and recipes they will need to make their own versions of their favorite dishes. Pairing it with a set of etched mason jars or a custom glass plate makes for a great graduation gift. Custom cookbooks are also excellent Mother’s Day and Father’s Day gifts. They highlight fun (and sometimes messy) memories, and they can help the mom or dad in your life stay organized. Binders full of recipes or scribbled notes can be easily lost. Gather their favorite, time-tested meals and personalize them with a gift they’ll use. 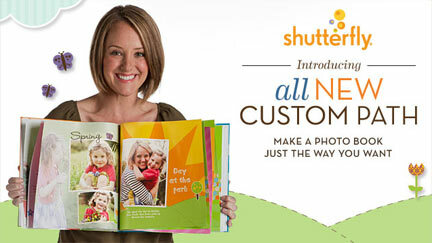 At Shutterfly, we make it easy to ensure that grandma’s favorite dish lives on. You can choose from a variety of great, easy to read layouts with decorative motifs. We help you organize your photos to best present your favorite dishes, and allow you to showcase your ingredients and emphasize the process. Creating a cookbook means you’ll have something to pass on to future generations of cooks!